The stove often plays a central role in the household’s kitchen. When your stove is not working properly or not working at all, you need fast, efficient service. Our stove repair specialists respond quickly and efficiently to get your stove working and your household or business back on track. We have factory-trained and certified technicians who can respond directly to your home or business to service or repair your stove, oven or cooktop, and we bring all necessary equipment with us to speed up the stove repair process and reduce your downtime. The two most common types of stoves are gas or electric. Gas ranges can have sealed or unsealed burners while electric cooktops tend to have electric coils, smooth tops or induction tops. Each has multiple parts and accessories that could fail. Our stove repair technicians are experienced and fully qualified to service or repair all types of cooktops, stoves and ovens, including Frigidaire, Sub-Zero, Thermador, Viking and other domestic and foreign brands and models. Our service technicians can also install, perform routine maintenance, service and repair stoves, cooktops, ranges, ovens and other kitchen appliances. Our fees are affordable, and the service call is included with the repair. 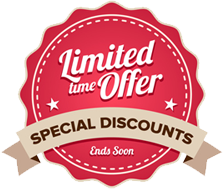 We will provide you with a written estimate at the time of the call and will not proceed with any work until you authorize and approve any necessary repairs. 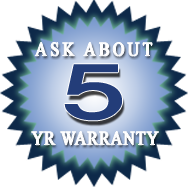 Each of our technicians is licensed, bonded and has extensive experience, and we offer an optional five-year warranty that can help protect against future failure. If your stove is failing to heat, overheating, under heating or not heating evenly, we can identify and correct the problem. We can often respond the same day of your call, and we are available when you need us. We do not even charge extra for weekend service. Give us a call today to schedule your stove repair or to receive an estimate. © 2013 StoveRepairLosAngeles.net. All rights reserved.